Acer is one of the largest PC makers in the world. Its products include desktop and laptop PCs, tablets, servers, storage devices, displays, peripherals and more. One of Acer's top product lines is its gaming PCs and accessories, marketed under the Predator and Nitro brands. We had a chance to talk with Brad Bliven, Senior Program Manager of Global Digital Services at Acer. Bliven was instrumental in getting the Acer community off the ground back in 2012. Since then, it's become a crucial channel for their service organization. “What’s more, our effort score is currently performing at 6 out of 10, based on the question: “How hard was it to find what you were looking for in this community?” We're really happy with those results, but we continuously strive to make it easier for our visitors to find meaningful solutions." Another thing that Acer does is to ensure that the community content is part of a larger overall strategy. "If you go to Acer.com and enter a serial number, you get personalized support for that product. What you’ll see are community topics related to your product search, sorted by most recent and whether any support questions were solved. 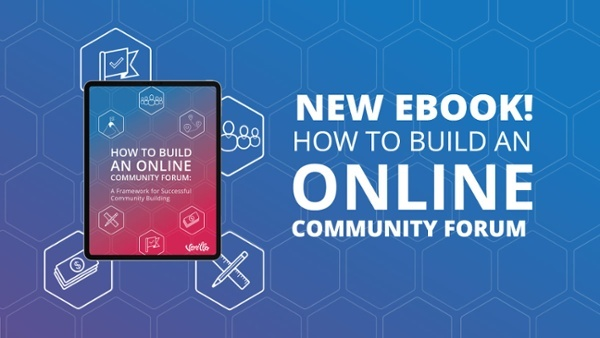 Of course we want to promote the community, but our mission is to offer a one-stop-shop for support by bringing content to our customers, rather than have them search for it. We honestly see our community as simply another source of knowledge for the customer." One thing Brad highlighted is that their community content provides a crucial function for Acer. "It's much more extensive, and provides support well outside what our team or the call centre can provide, especially when it comes to products outside the warranty terms. And because our content is written and verified by our audience, the community is deemed more credible by younger demographics, who tend to trust peers much more than a brand." Brad also added: "Community content is so important that we plan to go even further in the near future with a federated search. This means no matter which Acer support site you visit, you can search and find results from anywhere: the community, the Acer support website, our Acer Answers knowledgebase and more." But since the community was the most expensive line item in Acer’s global marketing budget, Brad's boss wanted to know if there were alternatives that could offer a similar experience, at a more reasonable price. Brad was quick to point out that Acer was already in the RFQ process. So after 5 years with the initial solution, Brad began to look at others in the field. The team at Vanilla easily matched Acer’s needs. Our competitive price included things the existing solution charged extra for, such as badges, ideation and "premium" gamification. 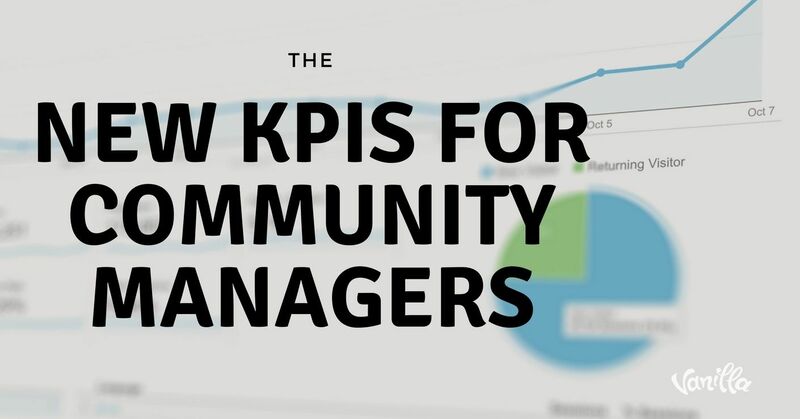 “Most importantly, the ROI for community went from 100% to 500%, and we’re still able to do most of the things we could with our previous solution. 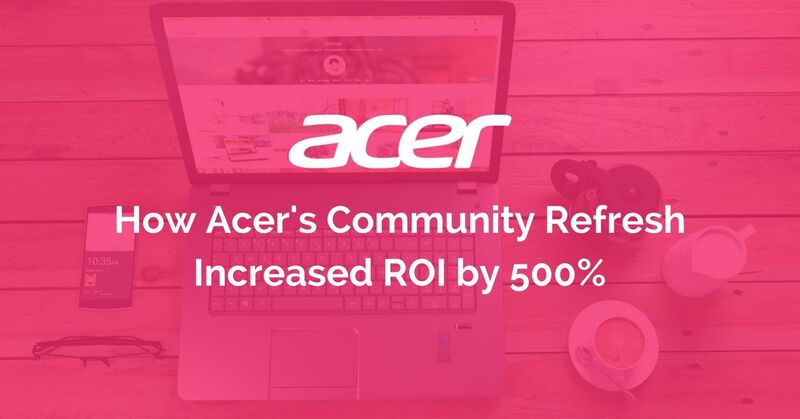 Essentially, Acer switched providers and reduced costs; we increased our return on investment without negatively impacting anyone in our community by the change. We’re very pleased with the results." "The ACE Team is essentially a brand advocate program that we promote across our website. Essentially, if you join the community and start to rank up, you get noticed by our team and we engage with you right away. To make you feel like part of the family, we send Acer swag as a token of appreciation. Then, after about 6 months or so, if we see you are a true brand advocate with high quality content, we offer you a chance to be part of the ACE Team." "We have private forums where the ACE Team can communicate directly with us about what we’re working on, enhancements and product feedback. They essentially become part of the Acer team. Initially we would send them products for 6 weeks to try out and provide feedback, but now we just reward them with Acer products based on their activity. For example, top ACEs get a Predator laptop and thank you note." "Getting on the ACE Team is no small accomplishment. We have 15 active ACEs but there are around 22 in the club, out of over 250k members. They answer a substantial number of questions. One member has made 18,000 replies in the community since November 2012 and is still with us. A couple others are rising rapidly through the ranks in number of answers." "In order to keep them happy, we work to mitigate repeat questions and have strong community guidelines to ensure community members remain respectful." "...Before, it was 1-2 days on average for a response to a topic. It’s now only 0.2 days." Always forward-thinking, Brad tells us more. "We’ve recently launched a new program called ACE Allies: an employee program open to call center and contracted employees. It's currently a beta test at the same location we do our English language moderation. We identify these employees as Allies in the community, but emphasize that their thoughts and opinions are their own. These Allies work on questions in their free time at work or at home. After they reach a certain point level (and we feel they are doing a good job – it's not automatic), they become an Ally and are rewarded with various Acer products. For example, depending on the point level, you can get a tablet, laptop or a Predator." According to Brad, the program is working well so far, filling in some important gaps. "Before launching the Allies, we noticed we didn't have enough ACEs to cover all the forums. Since we started on April 1st, our hours to first response and average days to solution have seen a massive impact. Before, it was 1-2 days on average for a response to a topic. It’s now only 0.2 days." But it’s not a free-for-all. "Because we built long-term relationships with the ACE team, and give them time and space to respond, it was important for us to give the Allies clear guidelines and areas to engage in, so they don't step on the ACE Team’s toes. We’ve noticed, however, that superfans tend to be in the laptop and gaming areas and less in the Chromebook or Windows 7 sections of our community. Therefore, with this new program, our whole community gets coverage. It's been such a success that we’ll likely expand it to other regions of Acer, in other languages." 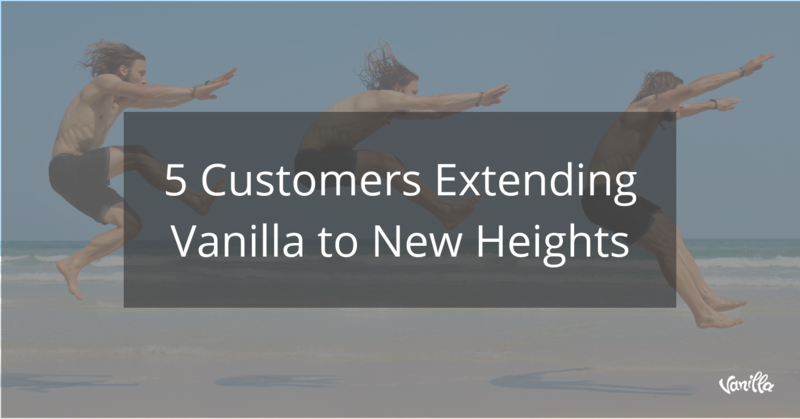 And as Brad told us, the best part of all is that he’s able to leverage their existing out-of-the-box Vanilla gamification to make it work – without hiring a team to tackle unanswered questions.